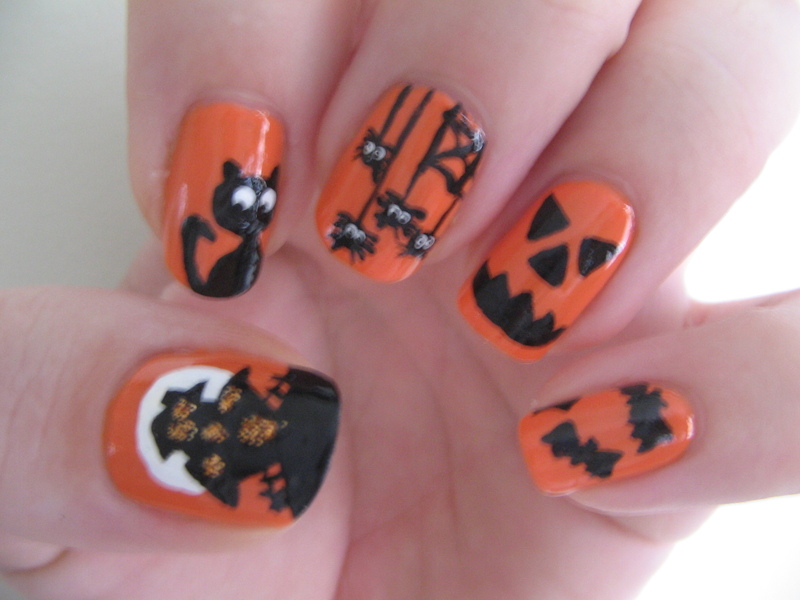 I did this Halloween Nails starting three weeks before halloween so I had time to do a new set of nails leading up to the big day. Here, I got some inspirations from: Simply Rins and then added in my own bits here and there. I did the exact same designs on my right hand as well. I found that these were easy to do on both hands, it just took some patience. OPI Atomic Orange was the base color, Golden Fluid Carbon Black and OPI Alpine Snow for the Eyes and Moon behind the house design. I also, used Gold glitter for the windows on the house that was my Nail Art Pens from Ebay.